Today the Supreme Court overturned past decisions and ruled, 5–4, that states may potentially demand that businesses that don’t have actual physical presence within their borders still pay sales taxes on what they sell to residents who live there. The ruling in South Dakota V. Wayfair overturns two previous Supreme Court precedents (Quill Corp. V. North Dakota and National Bellas Hess V. Illinois) that limited states’ ability to charge sales taxes on goods that were shipped to customers in the state if the businesses did not have any physical presence in that state. Consumers themselves could be ordered to pay sales taxes, but of course, compliance was extremely low. South Dakota believed it was losing millions of dollars per year in tax revenue and passed a law requiring out-of-state vendors to charge and submit sales taxes to the state if they reached a threshold of selling $ 100,000 worth of goods or 200 or more separate deliveries into the state. 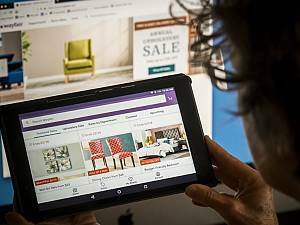 South Dakota petitioned the Supreme Court to vacate its previous precedents so it could demand online vendors like Wayfair and Overstock.com (defendants in the case) to pay the sales taxes. The majority agreed, in an odd combination of judges that defies ideological analysis. Justice Anthony Kennedy wrote the majority decision, joined by Clarence Thomas, Ruth Bader Ginsburg, Samuel Alito, and Neil Gorsuch. The dissenting opinion was written by Chief Justice John Roberts, joined by Stephen Breyer, Sonia Sotomayor, and Elena Kagan. In effect, Quill has come to serve as a judicially created tax shelter for businesses that decide to limit their physical presence and still sell their goods and services to a State’s consumers—something that has become easier and more prevalent as technology has advanced. This ruling pretty much ignores the idea that states can make themselves more desireable for businesses to locate there by, say, lowering their taxes. There may be some severe and unbalanced consequences for smaller businesses attempting to try to navigate extremely varied sales tax laws when selling goods. Big vendors can (and most already have) done the tech work to make compliance possible. But as Veronique de Rugy warned in April, this ruling today could jack up compliance costs for small online retailers, requiring them to calculate the demands of 12,000 tax-collecting jurisdictions. CEI is calling for Congress to fix the problem with legislation that would stop states from demanding taxes from businesses in other states. Normally, you’d think a Republican Congress would jump on this, but have you heard about President Donald Trump’s crusade against Amazon and its founder Jeff Bezos?